TO BE A DYNAMIC CHRISTIAN COMMUNITY OF FULLY DEVOTED FOLLOWERS OF JESUS CHRIST. Join us in our mission to put our faith in action by making disciples of Jesus Christ for transformation of the world. Dunwoody United Methodist Church shares a common heritage with all Christians, and we welcome all who seek Christ. 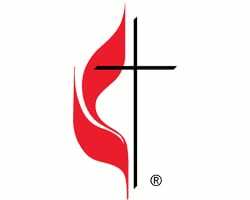 Today, we are one of the largest of the 800+ churches that make up the North Georgia Conference, which is the largest United Methodist Conference in the United States. We have more than 5,000 members and offer programs for all ages as we come together to pursue our vision: to be a dynamic Christian community of fully devoted followers of Jesus Christ. 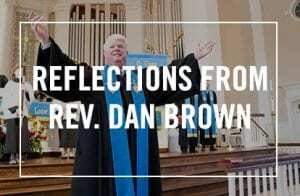 The people of The United Methodist Church are part of the second largest Protestant denomination in the U.S. with more than 12.6 million members. The United Methodist Church was formed when the Methodist Church and the Evangelical United Brethren Church merged in 1968. 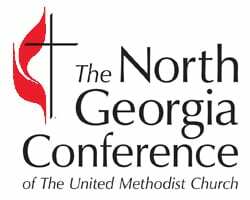 With more than 800 churches, 1,300 clergy members and 360,000 lay members, The North Georgia Conference is a regional body of The United Methodist Church and is headquartered in Atlanta. Each year, laity and clergy of the conference gather for business and worship at the North Georgia Annual Conference. 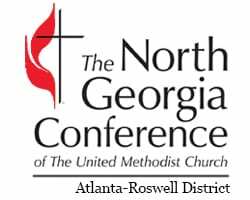 The Atlanta-Roswell District of The United Methodist Church is one of 12 regional districts in the North Georgia Conference. It includes United Methodist churches from just north of Buckhead in Atlanta to just south of Dahlonega in the North Georgia mountains. If you are ready to join Dunwoody UMC, let us know and we will schedule a date in one of our worship services. Plan to attend “Discover DUMC,” an introduction to our church and our United Methodist denomination. Led by Rev. David Melton, you’ll learn about what we do, why we do it, what we believe and how to get involved. Sessions are held throughout the year. We also offer quarterly tours of the church. We would love to know you are coming, but reservations aren’t required. For information on joining the church, attending Discover DUMC or taking a tour, contact Valerie Pitrof at 770-394-0675 ext. 136 or valerie.pitrof@dunwoodyumc.org. 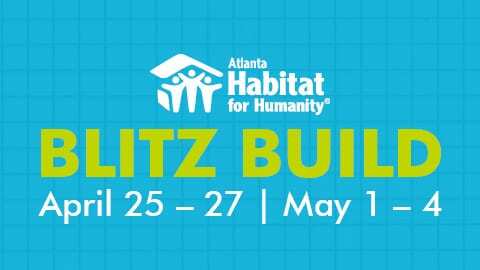 For information on our facilities, contact Debbie Collins at 770-394-0675 ext. 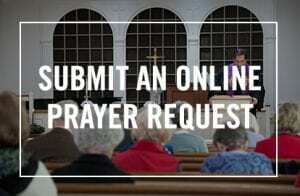 111 or debbie.collins@dunwoodyumc.org. Access the Facilities Request Form for information about using our facilities. Built in 1941, the Chapel is an intimate and traditional worship space that seats 120 and features frosted glass windows to complement the dark wood accents. It is home to the Sunday morning Chapel Service at 8:45 a.m. It also provides a beautiful setting for small weddings, funerals and special events. Renovated in 2018 to accommodate both the Traditional and Contemporary worship services, the sanctuary seats 1,400. Palladian windows create an atmosphere of spaciousness and light with a large chancel to support the church’s liturgical style of worship. The Sunday Traditional Worship Service at 11:05 a.m. is heightened by the power and beauty of piano, pipe organ, orchestra and Chancel Choir. It also is used for the Sunday Contemporary Worship Service at 8:45 a.m., when the space is transformed into a venue utilizing multimedia presentations, digital lighting, an energetic praise band and a more casual worship style. A large, multi-purpose Fellowship Hall accommodates large groups and events including Performing Arts presentations and Wednesday Night supper. The room has theatrical lighting, sound and multimedia capabilities along with the ability to partition off portions of the room for classes or small groups. With a full commercial kitchen and Food Service staff, we are able to accommodate groups from 10 up to 400 for breakfast, lunch or an elegant evening dinner. Located just outside the Sanctuary, the Parlor is used for Adult Sunday school classes, small groups, meetings and family visitation before funerals. DUMC offers more than 5,000 volumes of Christian-oriented books and a limited number of audio-visual materials that promote Christian growth, inspiration, comfort and affirmation of faith. The Library is on the second floor of the Activities Building, near the Church Parlor. Volunteers staff the Library on Sundays from 9:00 a.m. - 10:00 a.m. The Library is always open during normal church business hours and on Wednesday evenings. During these times, self-service check out of Library holdings is available using the honor system. Materials that have been previously checked out can be returned to the Library at any time and deposited in the return slot below the Library display window. To determine if our Library has a book in which you are interested, please do an online search of our Catalog. First read and print detailed instructions for performing an online search. Access our Library Donations Policy. Review the Library Display Window Instructions for scheduling and use. 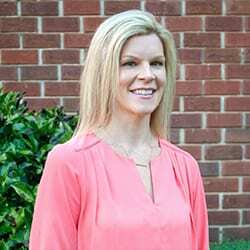 The Preschool of Dunwoody UMC includes regular classrooms, a kitchen classroom, a music and multipurpose room, an outdoor playground and administrative offices in the Activities Building. On Sundays, these rooms are used for Children’s Sunday school. DUMC Sports and Leisure program utilizes an outdoor field supporting flag football and soccer, an Aerobics Room for exercise programs and a full basketball court for basketball, pickleball, indoor practices and summer camps. These facilities are not available for public use. Built by the members of the church, our Scout Lodge provides dedicated meeting space for both our Girl and Boy Scouts. The space also is utilized for Sunday school classes as needed. 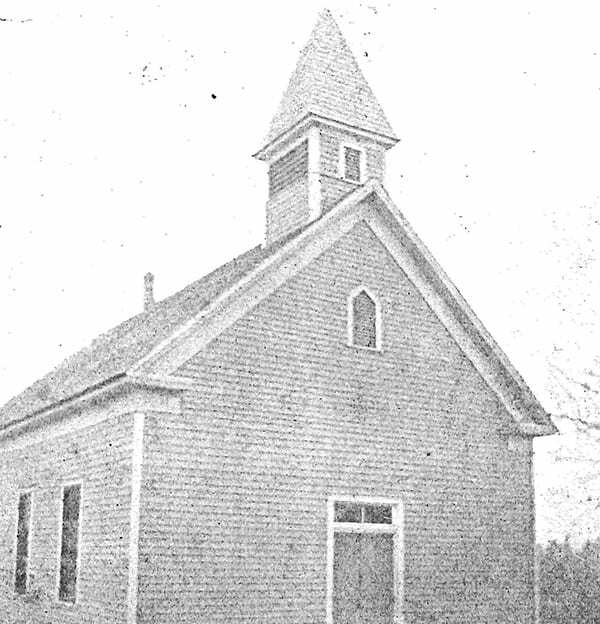 On October 8, 1903, the church was organized as Dunwoody Methodist Episcopal Church, South. Just over a month later, 31 people had joined the tiny one-room church. Zedekiah Speer became its first pastor and only paid employee. He was a circuit minister and delivered sermons every fourth Sunday. In 1935, Eull Spruill donated a team of mules and laborers to excavate the site of the new church on property across the street from the one-room building. Construction was completed in 1941. Today, this “new” church serves as our Chapel. In 1950, 60 members came together to build a new three-bedroom parsonage in just nine hours. A Fellowship Hall, education wing and youth activity building were added to the campus in 1964. Membership continued to grow, with 2,000 members on the church role by the late 1960s. 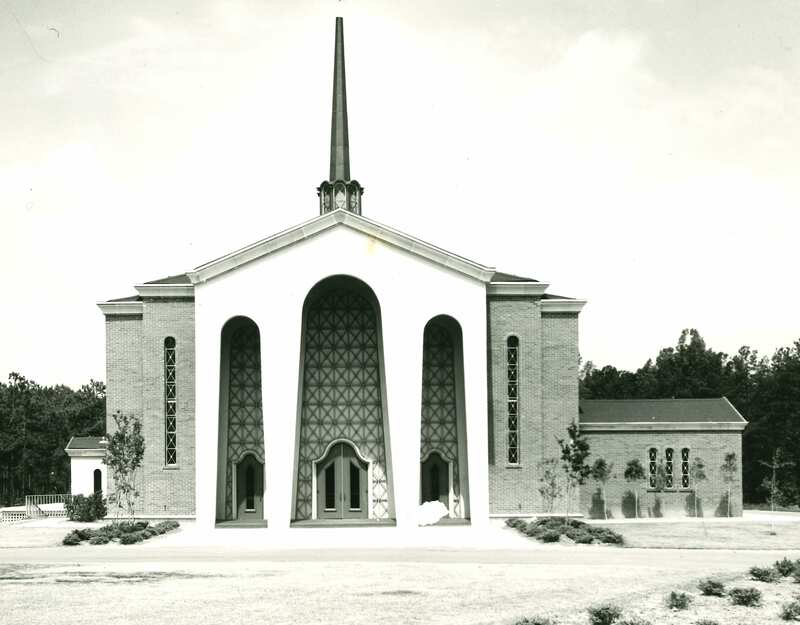 The third Sanctuary came in 1972 when a modern 750-seat Sanctuary was built adjacent to the Chapel. Thanks to a generous gift from the family of Stephen Thomas Spruill, the Chapel was totally renovated in 1977 and today serves as an intimate worship setting. 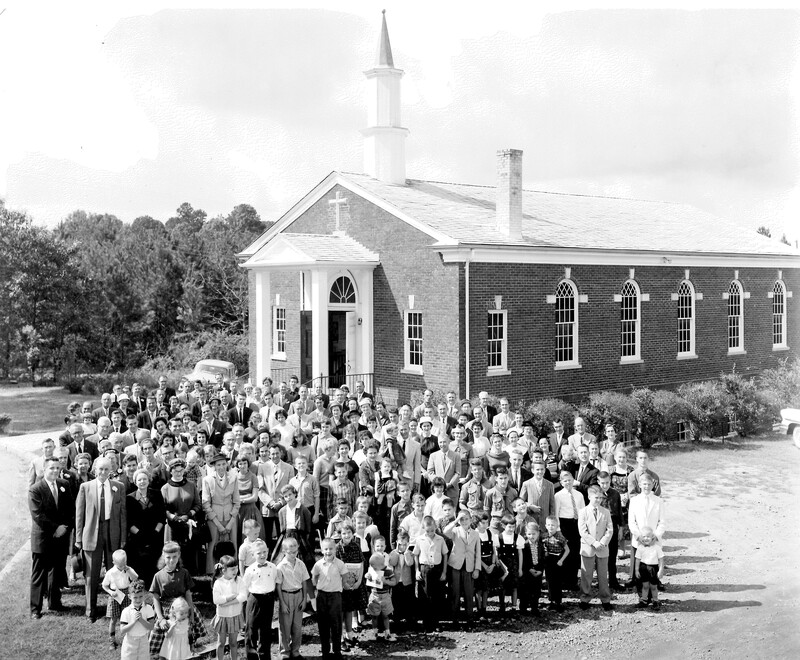 As the congregation and Dunwoody grew, so did Dunwoody United Methodist Church. After renovations in the 1980s and 90s, the sanctuary underwent a significant redesign in 2018 that allows for both traditional and contemporary worship to be held in the same space. 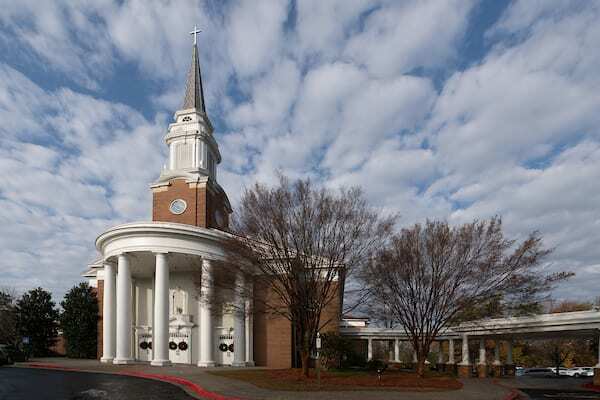 Today, over 5,000 people call Dunwoody UMC their church home. If you have other specific questions or need more information before you visit, please contact me. I look forward to welcoming you to Dunwoody UMC.